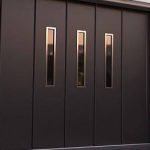 Byron Doors side sliding garage doors gallery of high quality completed installations will help you choose the right product to enhance your home. Byron Doors’ supply chain of side sliding garage doors is a who’s who within the industry, offering great quality of product and service along with design and style features. Byron Doors have the tools to make your home amazing.